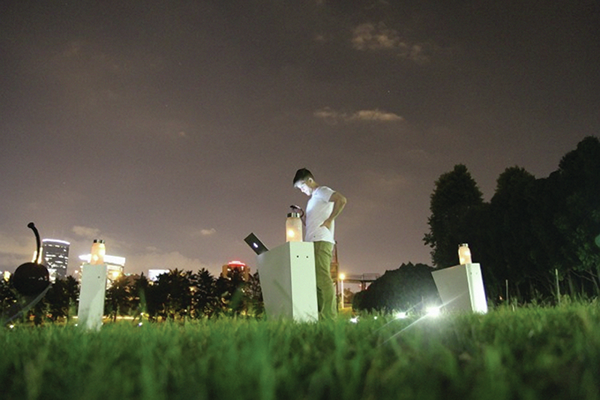 We created an installation that invited sculpture garden visitors to release swarms of electric fireflies into the sky. 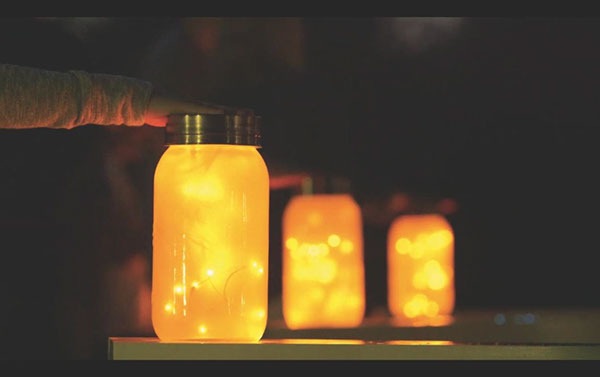 Tellart devised a custom software model that captured the feeling of fireflies’ bulbs, expressed as a cloud of jewel-like incandescent lights in classic Mason jars. 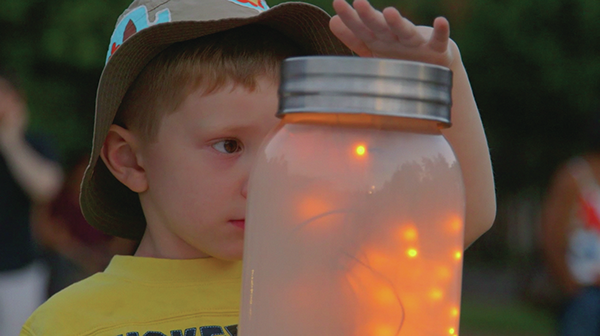 As viewers approach the jars, the fireflies multiply and swarm. Eventually, this activity causes the lights to leap from the jar and emerge a mile away on the immense LED panels at the top of the Target headquarters downtown. 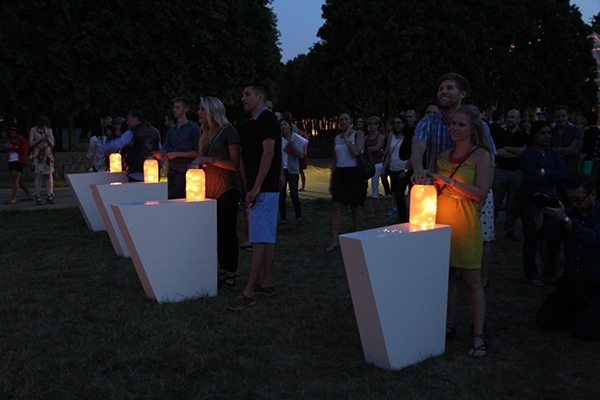 These large-scale lights were controlled in real-time by viewers in the sculpture garden. 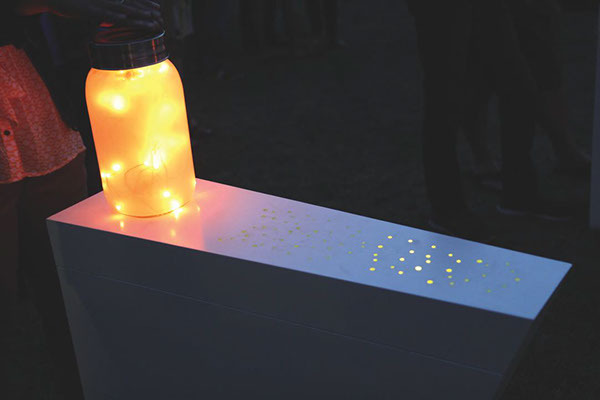 With in-house designed software created using flocking algorithms, and hardware built in our Rhode Island studio, we were able to recreate the look and feel of fireflies on a summer evening, drawing visitors to the installation’s interactive jars. We created a moment of surprise when visitors realized they were not only controlling the lights in front of them, but a light show for the whole city. The piece provided a balance of creativity and moderation, which was a strong requirement, given the highly visible and public nature of the large Target displays, through an abstract interaction that was still satisfyingly direct and comprehensible. Through the use of the large displays as an expression of the interactive experience, Tellart had the privilege of engaging an entire city in the experience. With 700,000 lights towering 34 stories above the street, Target’s headquarters LED display is the largest in the Midwest. Standing among the artworks in the garden, seeing the intimate actions of one’s hands turn this display into a light show for the entire city is truly a magical experience. It honors the spirit and history of the Midwest in summertime, and beautifully capped the garden’s 25th birthday celebrations. These outdoor interactives were engineered to handle humidity and temperature variations, and were designed to draw attention from the firefly jars to the massive LED display. 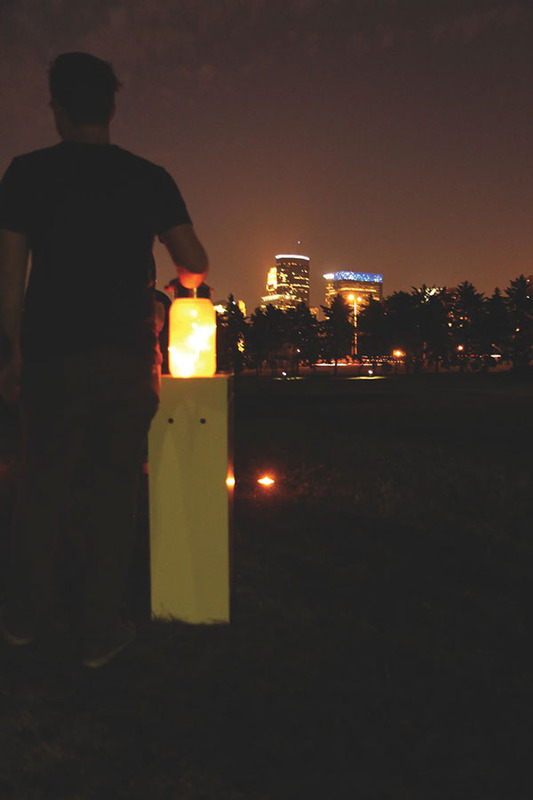 Thursday Lights was an interactive city-scale installation designed to capture the spirit and magic of Midwest summer evenings. Visitors to the sculpture garden at the world-renowned Walker Art Center interacted with glowing jars of electric “fireflies,” controlling a city-wide light show on the massive panoramic LED display at Target headquarters over a mile away.